When you are drawing feet, the basic shape you will start with is a triangle. Be careful when you attach the foot and ankle to the leg. A common mistake is to make the ankle the narrowest part of the leg, when the thinnest part is actually slightly above the ankle. There are major joints in the ankle, where two bones meet. 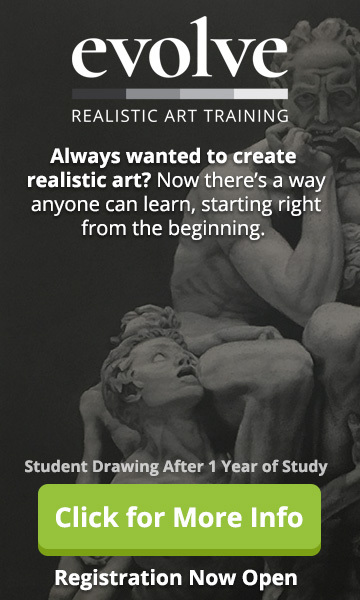 Once again, an anatomy book may help you to understand the structure of what you are drawing. 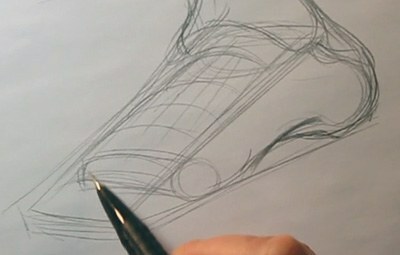 When learning about drawing feet, bear in mind there is a row of knuckles connecting your toes to your foot, similar to the fingers on the hand. Draw in the arch on your foot and make sure to show that the weight is on the ball and the heel of the foot. 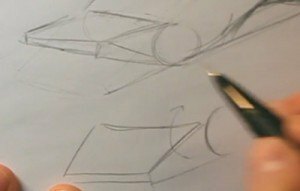 When you’re getting a more three dimensional look at the foot your basic shape to begin the drawing will be similar to a cheese wedge. Think of the toes on the ‘front’ of the wedge as being their own piece of the drawing that is joined to the rest of the foot. The toes are independent of the rest of the foot and can be raised or lowered. 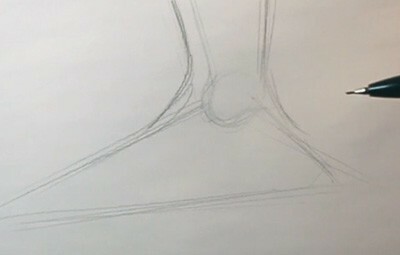 When learning about drawing feet, sketching it as one piece will give you an idea of general shape before you draw the toes individually. Just as fingers don’t all move as a unit, toes move on their own to an extent. 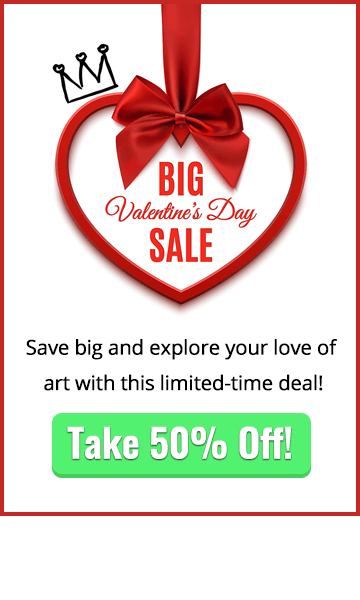 The big toe in particular is very independent of the rest of the toes and it’s important to remember this when drawing feet.Keep in mind the bumpy knuckles of the toes and how they appear rather bulbous on most people’s feet. 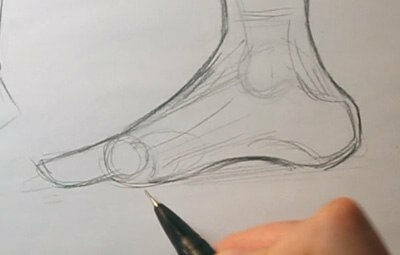 We hope you enjoyed this article on drawing feet. 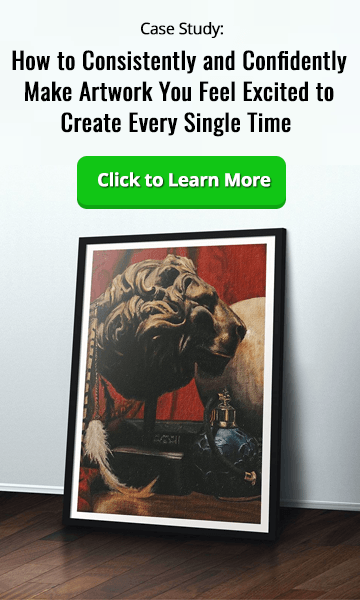 Why not upload your work to our members-only community and meet like-minded artists?